Princess Suzie attempts to turn this “dashing” young frog into a prince. 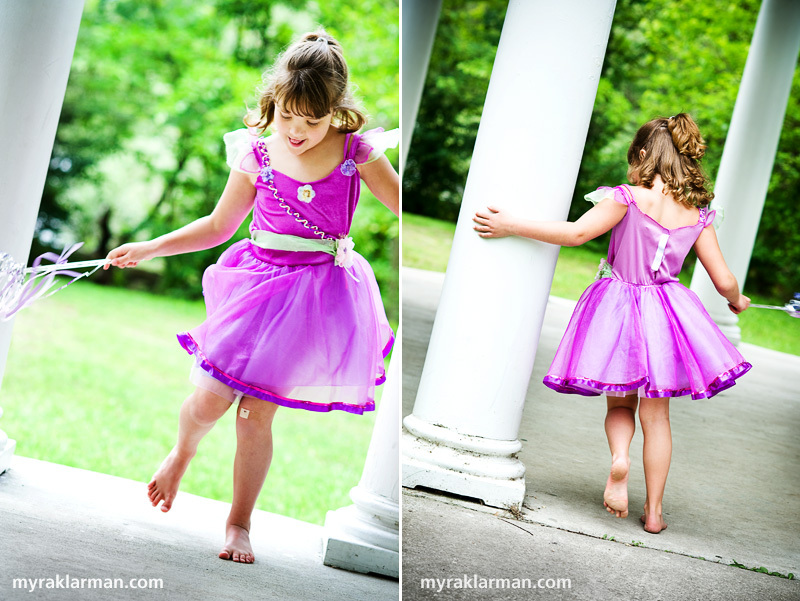 This past June, I got to photograph my second “wish kid” for Make-A-Wish. Based in Ann Arbor, the Make-A-Wish Foundation of Michigan grants the wishes of children throughout Michigan facing life-threatening medical conditions. The goal is to affirm the human experience with hope, strength, and joy. 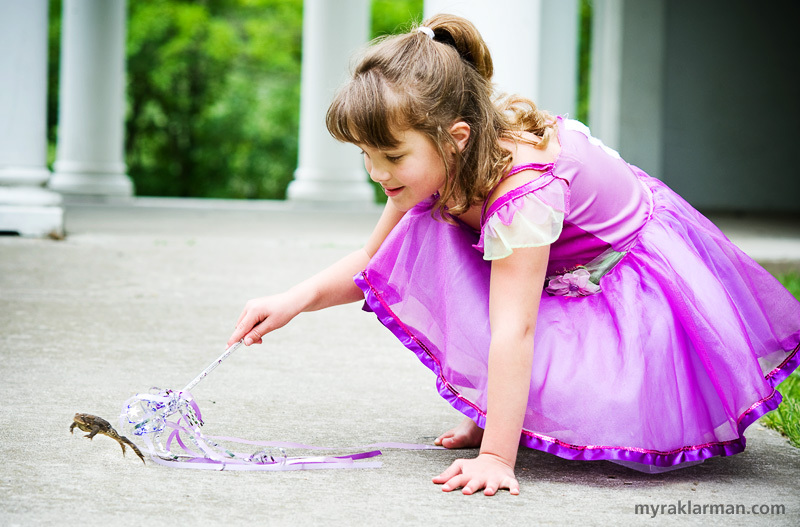 Wish kid Suzie, age 6, had leukemia. I just learned that a few weeks after our photo session, she completed her last chemo treatment. Suzie’s wish was to go to Disney World, an adventure she and her family enjoyed this past spring. In September, she’ll be starting 1st grade. 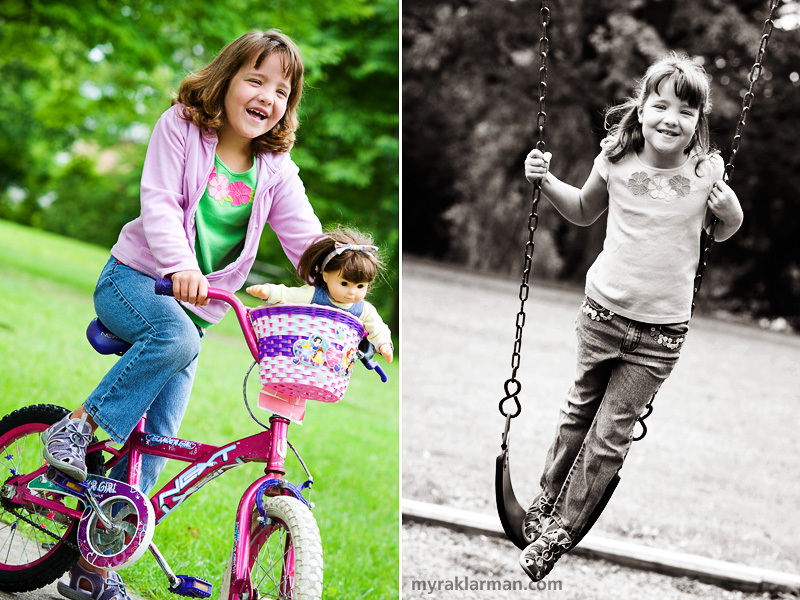 I met Suzie, her mom, and her two older brothers at Island Park — which is one of my favorite places to photograph kids. There’s beautiful greenery, the river, charming bridges, and a nice playground. Plus, on one end of the park stands a white, Greek-style structure with tall columns — I call it “The Castle” because it’s such a majestic stage for fairy tales. You may recall that in my first photo session with a “wish kid,” I got turned into a frog and (mercifully) back into a human. This time, completely unexpectedly, we had a real frog show up. I presume he had hopes of being turned into a prince. Fortunately, Suzie’s brothers are experienced amphibian wranglers; without their eager participation, the photo shoot would have been strictly sans-frog, I can assure you. (Being from Brooklyn, I wouldn’t have gone near that thing — no matter how cute he was!) However, our frog went home in the same body he arrived in. He kept hopping away before Suzie could complete the spell. Oh well, we tried. Thank you so much Suzie for a beautiful day, stories I will never forget, and wonderful photographs! It was great meeting you and your family, and I wish you many, many years of good health! Suzie shows me her new bike — “Little Mary” gets the front seat. | Swinging at Island Park. Swirls and curls in The Castle’s ballroom. Eyes like jewels. 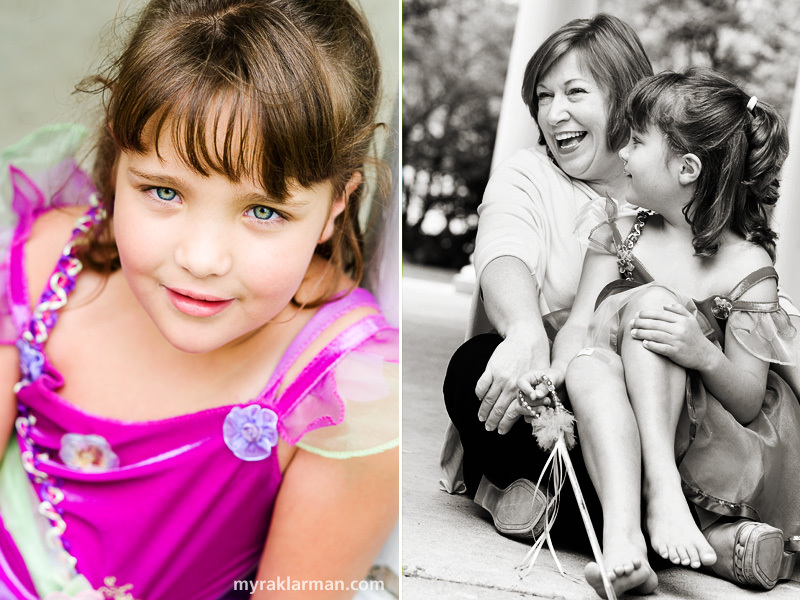 | Exchanging favorite spells with her Fairy Godmother, Make-A-Wish Foundation of Michigan CEO, Susan Fenters Lerch.